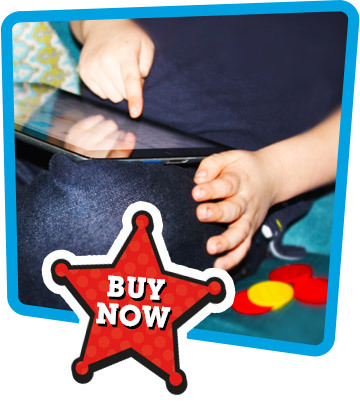 KidzCoins - Screen time trading coins for gadget-mad families! Our unique kids coins are the simple solution to help families manage or limit their children’s screen time at home. The time tokens can be given out by parents and traded in by children for recreational (passive) screen time. Children can also earn the reward coins for good behaviour or they could be given as a form of pocket money! Families use them in lots of different ways. Professors, doctors, scientists and teachers agree that establishing healthy screen time habits early on is the key to making sure technology doesn’t damage our children’s mental or physical health, social skills or chances of academic success. But managing screen time without nagging or always being the ‘bad guy’ can be really tough. These coins for kids are a simple and fun way to teach and motivate children to take responsibility for managing their screen time in a very positive way so that they don’t become addicted to screens. Designed by parents and tried and tested by families, it’s an easy and stress-free way to manage screen time at home. Latest research reveals that, by the age of seven, many youngsters will have spent what equates to one full year in front of a screen, rising to three by adulthood. Cambridge University scientists believe that too much screen time seriously harms GCSE results with extra TV time having the worst effect on grades. Even Apple’s co-founder and former Chief Executive, Steve Jobs, was concerned about his children’s gadget use so he limited their screen time at home. If they run out of coins, they run out of screen time. Simple! Next week they’ll manage their coins better! 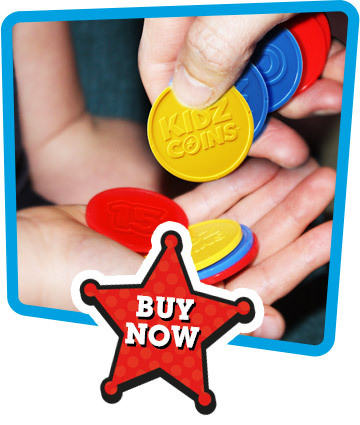 This is how we set up KidzCoins but you can set your own rules to suit you and your family. See our Top Tips from parents for more ideas. That’s enough coins for up to 14 hrs screen time per week. Health experts recommend a maximum of 2 hrs screen time a day. For orders outside of the U.K. please contact us. Our children have to earn their screen time kids coins. It’s amazing how keen they are to do their homework or tidy their bedrooms now! If our son still has coins left at the end of the week, we give him a reward for managing his time so well. Social media is now third biggest worry facing British parents with bullying and drug abuse the top concerns. Apple must investigate the dangers of iPhone addiction among children and make it easier for parents to control screen time, investors have said. The average teenager spends about 4.5 hrs a day on a smartphone. Limiting screen time in favour of physical toys or outdoor activities is vital for building social skills, emotional resilience, empathy, adaptability and the foundation for learning - not to mention healthy bodies and brains. Children as young as three are hindering their emotional intelligence by spending too long staring at screens instead of socialising with other youngsters, a study has shown. Toddlers who spend up to three hours a day staring at smartphones, tablets and TVs could be at risk of developing screen dependency disorders later in childhood, according to psychologist Dr Aric Sigman. A dramatic rise in screen time is putting children's health at risk, according to a World Health Organization report. Experts warn teens are "slaves to handheld devices" with inactivity posing the risk of cardiovascular disease and Type 2 diabetes. A third of British children aged 12 to 15 admit they do not have a good balance between screen time and other activities.In the US, the problem has become so severe for some families that children as young as 13 are being treated for digital technology addiction. Happy Birthday to us! 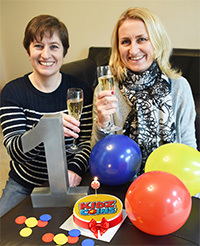 It's our 1st birthday at KidzCoins and what a year it's been. Thank you to everyone for all your support over the last 12 months. Spending hours staring at screens is a more dangerous pastime than the perilous activities carried out by the children in Swallows and Amazons, academics have said. A group of leading authors, educationalists and child-development experts is calling on the government to introduce national guidelines on the use of screens, amid concern about the impact on children’s physical and mental health. How will your children spend their free time during the school summer holidays? Young people are becoming increasingly sedentary which is damaging their posture, resulting in more children under 16 seeing chiropractors with back and neck pain. Technology is often the cause. Parenting experts are warning that digital devices are harming relationships, stopping youngsters from developing face to face communication skills and teaching children that disappearing into digital devices for hours is OK. National Unplugging Day on June 26 asks us all to go back to the good old days before technology by putting down our smartphones, tablets and computers for 24 hours to experience life unplugged. KidzCoins is proud to be supporting the UK's largest digital detox on Sunday 26 June by urging families to #GoGadgetFree on National Unplugging Day. With growing concerns about the impact of too much screen time on children's mental and physical health, social skills and chances of academic success, it is hoped that the one-day campaign will prompt families to think about their ongoing use of gadgets and screens. KidzCoins is a positive way of teaching children to regulate their own screen time behaviour to prevent addiction issues arising in the future and is backed by the Royal College of Paediatrics and Child Health as well as TV psychologist Dr Arthur Cassidy. Gail and Vanessa from KidzCoins said: "Anything that shines a spotlight on the impact of screen time on family life is a positive step and we are delighted to offer Gemma Johnson at National Unplugging Day our support." Thanks to one of our customers for this feedback: "With 2 boys seemingly interested only in their screens, these coins changed their behaviour instantly. We introduced them as rewards so they now have to earn screen time. They monitor their minutes carefully and when their time is up, they turn their appliances off without the usual fuss and drama. They're both keen to suggest coins for each other if they feel they do something worthy of a coin! Such a simple but effective system and extremely good value for money." 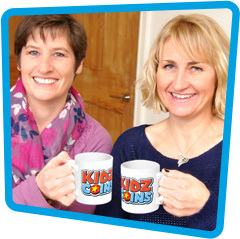 Gail and Vanessa would like to thank all those who bought packs of KidzCoins over the last 2 weeks. We have donated 50p to the NSPCC's Big Board Game campaign for every pack sold during that time. Thank you for your support. Thrilled to receive this from 10 Downing Street: "I was delighted to hear of the success KidzCoins is enjoying and would like to congratulate you on all you are doing to teach children how to manage their time effectively." Thank you Prime Minister for your "warm regards and best wishes for the future." We hope the KidzCoins we sent you help with your family screen time issues. We always value our customers' feedback. Thanks for this Mrs M! "This simple but brilliant idea works. After a couple of weeks the kids come home and instead of reaching for the tablet computers have been making dens, models, EVEN HOMEWORK. They are managing their own screen time by earning it, and this week I still haven't had to top up their quota from last Sunday! You make your own rules and as long as they are age appropriate and realistic you really can't go far wrong." 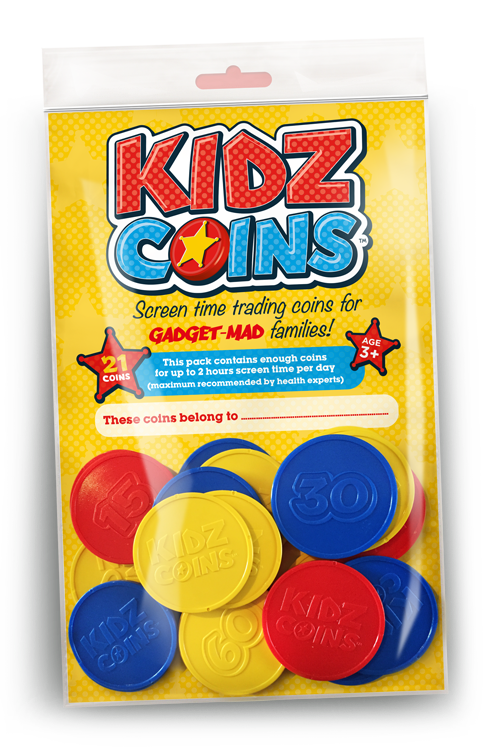 Dear Prime Minister, we prefer a more positive approach to managing children's screen time at home, so we're sending you a complimentary pack of KidzCoins for your family. Natasha Devon MBE, the Government's mental health champion for schools in The Telegraph - Children have less of what they do need...Family time that is spent together is spent staring at a screen. TV psychologist Dr Arthur Cassidy has endorsed KidzCoins: "You have an amazing product which is changing lives and moving parents away from stress. It's a wonderful psychological product which has the potential to reduce child and teenage stress and increase positive mental health. Warmest congratulations." Invited to do a live interview with BBC Radio 5 Live’s Peter Allen about KidzCoins and the impact of screen time on children’s lives. Linked to Army Reserve story about young people wasting time on screens. Thanks to the Herefordshire parent who sent us this email: "I think you may have just transformed our pain of setting screen time for my boys." Are children becoming too addicted to their iPads and mobile phones? KidzCoins featured on BBC Radio Kent’s Breakfast Show. Gail and Vanessa were fed up of gadgets increasingly impacting on their families’ lives. Chatting to others over coffee, it became obvious that it was a frustration shared by lots of other parents too. The caffeine kicked in and the two mums had a brainwave. That’s when KidzCoins was born! The kids coins were launched after being bravely tested by their friends in the village of Wateringbury in Kent. It could have gone horribly wrong at this point, but thank goodness, it didn’t. Parents welcomed the concept and the children liked the coins – some didn’t even want to spend the coins on gadget time, preferring instead to save them! Since launching in February 2016 the kids coins have featured in the press and on local and national radio and even got the backing of MPs and No.10! News about KidzCoins has spread far and wide with sales across the UK but also in the United States and Norway too! Our dream is for homes to become a bit less stressy, for children to rediscover the excitement of real-life adventure as well as virtual entertainment and for parents and children to live happily ever after...or something like that. We hope KidzCoins bring your family a fairytale ending to screen time squabbles and telly tantrums. Tell us about your family’s KidzCoins experience or any other comments.